I’m spending this morning in a rather meditative way. Today is all about drilling plugs for our floorboards. In order to drill these little buttons, you will need a drill press, a drill bit and scrap pieces from your floorboards. Make sure the drill bit matches the size of the screw heads you’re using for your floorboards. It seems excessive to us to buy a brand new drill press for the sole purpose of drilling plugs. After all, we would just need it for a few days and would not have any other use for it. So we tried alternative methods to achieve the same result. We put the drill bit on a regular drill and tried drilling buttons this way. But this method is not accurate since your hands are moving too much. It became obvious that we needed a drill press for this job. So we wanted to rent one for a couple of days but none of the tool rental places in the area is renting out drill presses. How odd. Eventually, we got lucky and found a drill press on Gumtree for a pretty cheap price. Woo! We roughly calculated that we would need around 700 plugs (probably more) to cover the screw holes in our wooden floor. 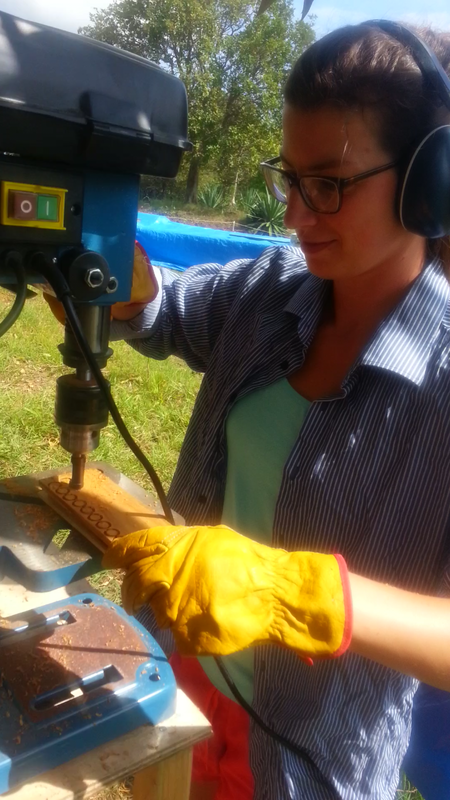 So today I collected all the scrap pieces of wood and started drilling. It took me all morning but I got the job done. There is also no way of sugar coating it, this job is rather mind-numbing. On the bright sight though it allows you to think all those thoughts you usually don’t have time to think to finish. Now we have to figure out a way to remove the plugs from the wood. There are two options: you can either try to run the piece of wood through a table saw or chisel them out. Option 1 is definitely faster and more accurate but we found out the hard way that our table saw is “eating” half of the buttons. This is rather annoying because this means that I have to drill more plugs. Option 2 is more time consuming, the buttons might not be as accurate and some will break but there will be less button loss. Anyway, either way works. Once we our wooden floor is finished we will glue all the buttons in their places. I can’t wait to see our finished floor. It will look fantastic!! 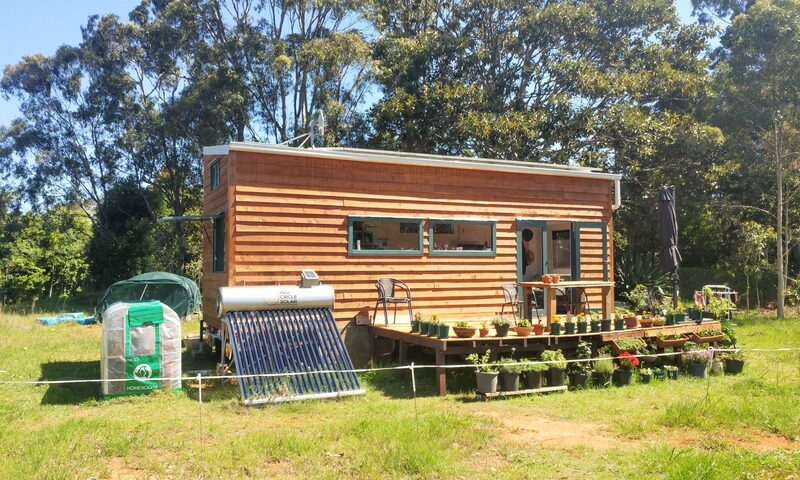 Next PostNext We have finished laying the wooden floor on our tiny house trailer!